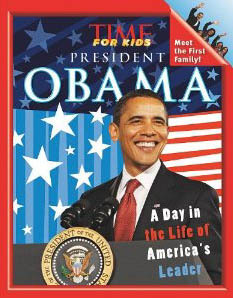 Time For Kids: President Barack Obama; A Day in the Life of America’s Leader, is like a Book of Knowledge all rolled up in a magazine cover. 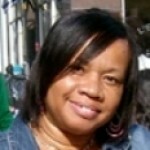 It is an educational, photographic and historical accomplishment, and is sure to find favor across many arenas. The cover alone is a keepsake in itself, with its glossy portrayal of a handsome, confident and smiling President Barack Obama flanked by the stars and stripes and the noble presidential seal. It is a busy book from the very beginning—perhaps as busy as President Obama himself, and it doesn’t lose momentum until the reader turns the last page. Obama: A day in the Life of America’s Leader, opens with a quaint family photo of the Obama’s walking first dog Bo Obama. This is followed quickly with by that quite familiar and definitely unforgettable photograph of a newly-elected President Barack Obama holding wife Michelle’s green-gloved hand as they take the presidential walk before their well-wishers. After this, Obama fans out into a delightful barage of pictures, diagrams, floor plans, and contemporary and historical photographs. There is a photo spread of all the past presidents of the United States, with Obama’s newly-inserted photo at the end; there is a diagram of the white House floor plan, and there are even aerial photos of Washington, DC! This book is a treasure trove of information. It takes both children and adults by the hand and leads them through a typical day in President Obama’s new life, explaining what it’s like when he wakes up, what he does during the day, and even what he does at night. It dissects the very essence of “being President,” then includes juicy tidbits about the “first kids” and the “first wife” for good measure. Then it balances these tidbits with historical photographs and information about other children who lived in the White House, like Tad Lincoln, son of Abraham Lincoln, and John Jr. and Caroline Kennedy, the children of John F. Kennedy. I love this book! I love how it demystifies the office of the presidency, and leaves no stone unturned when telling about our new president’s life. I love that all this juicy information is housed under one attractive and cleverly-designed cover for convenient and thorough learning. I love that the information is presented in small, manageable chunks and reinforced by bright, interesting—and glossy, photographs, making the text and layout as easy for the young reader as for the elder. I love the fact that this book is so meticulously written, it is rendered a great conversation piece for parents, children, teachers and librarians. And I love that it presents President Obama as not just a far-away, unreachable leader, but as a very real, very approachable man; a father, a husband, a baseball-lover, and a man who loves long walks with his family and his rowdy puppy. To grab this keepsake while it’s still in stock, simply click on the icon to the right! This one is destined to become (if it isn’t already!) a wonderful collector’s item to commemorate this historic man and his historic election.